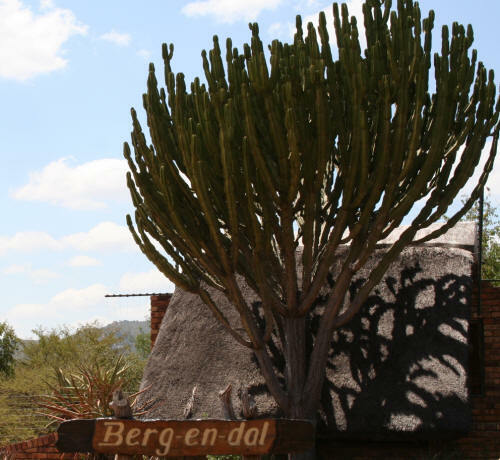 The Deadliest Candelabra Euphorbia (Euphorbia cooperi), also known as the Bushveld Candelabra Euphorbia is a striking tree that is quite poisonous. In the winter months the Candelabra Euphorbia flowers with yellowish-green flowers. And between August and November this Euphorbia tree bares fruit. 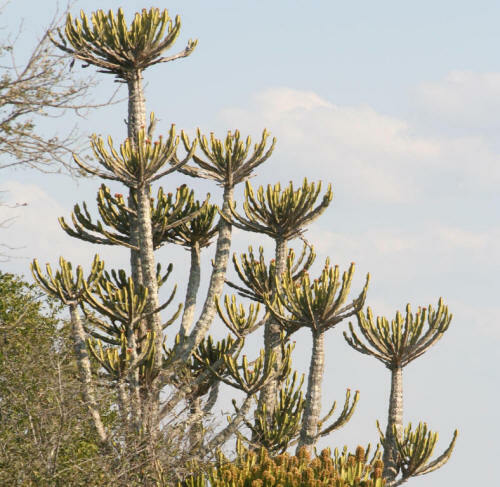 The Candelabra Euphorbia is a succulent that can grow up to 7 meters in height. The Candelabra Euphorbia is not browsed by any mammal species, but the seeds of their fruit is eaten by a few species of birds. In the Kruger the Deadliest Candelabra Euphorbia often grows in association with other Euphorbia species.